This Christmas range has been designed especially for you to pick out individual letters, send personalised cards, or make up the words that mean something to you. My Christmas range celebrates all things festive. 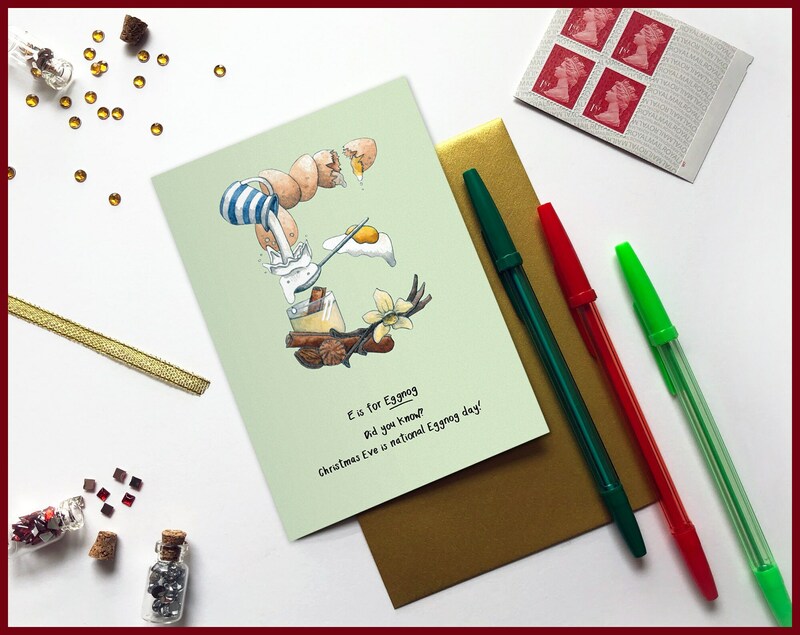 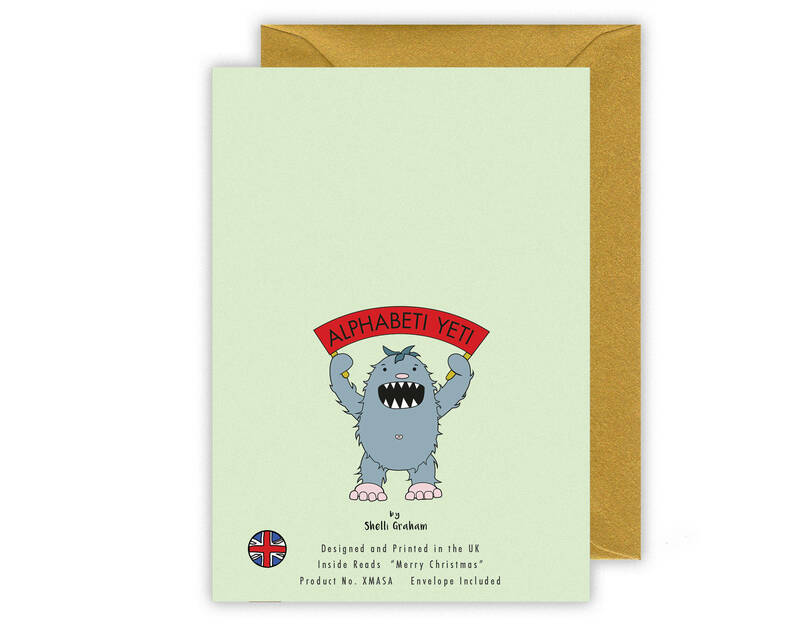 From 'A is for Advent' through to 'Zzz is for the snooze after Christmas dinner' these beautifully illustrated cards are perfect for every member of the family. 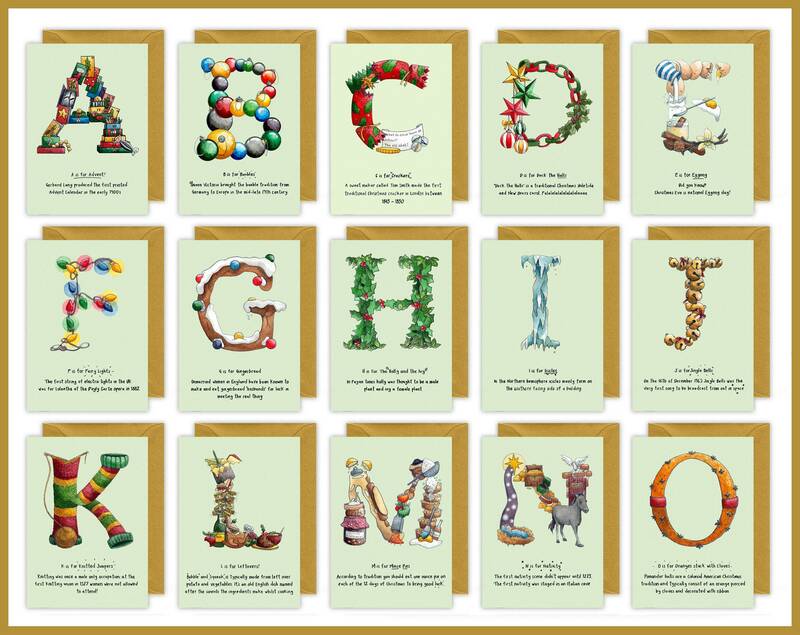 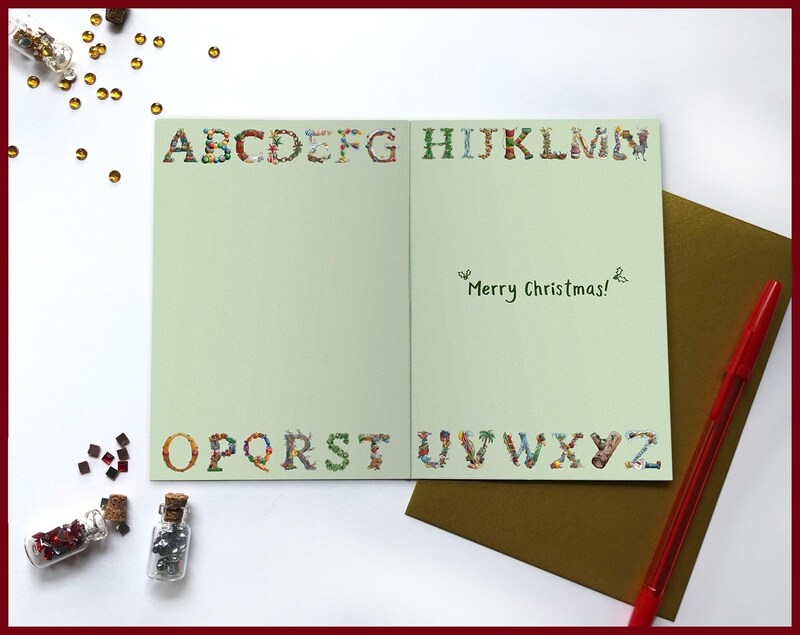 These festive alphabet letter greeting cards are printed onto high quality TruCard, a specialist greetings card material that is glossy coated and scratchproof on the outside, and uncoated on the inside so it's easy to write on. The cards have a printed insides featuring each letter of our christmas alphabet, the inside also reads "Merry Christmas" and the card comes with a metallic gold paper envelope. 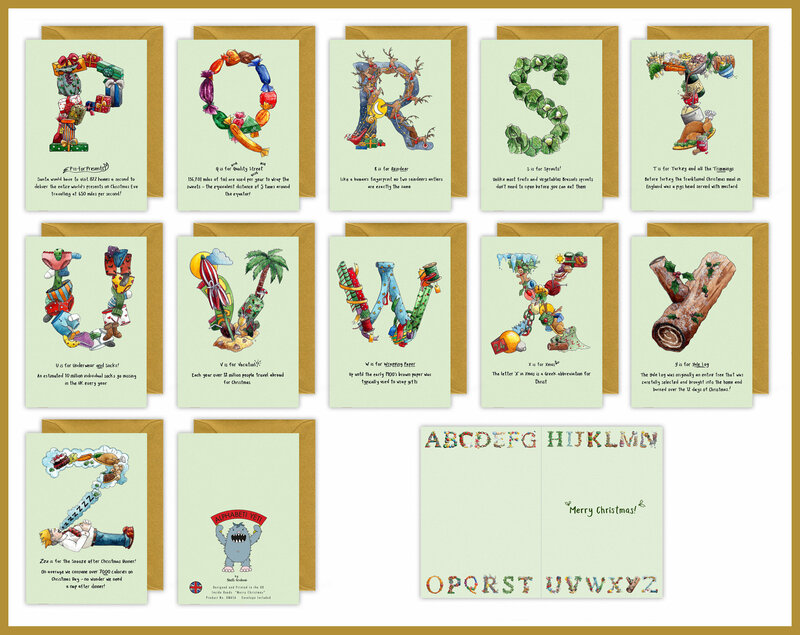 Card measures 105mm x 148mm and is suitable for letter post. 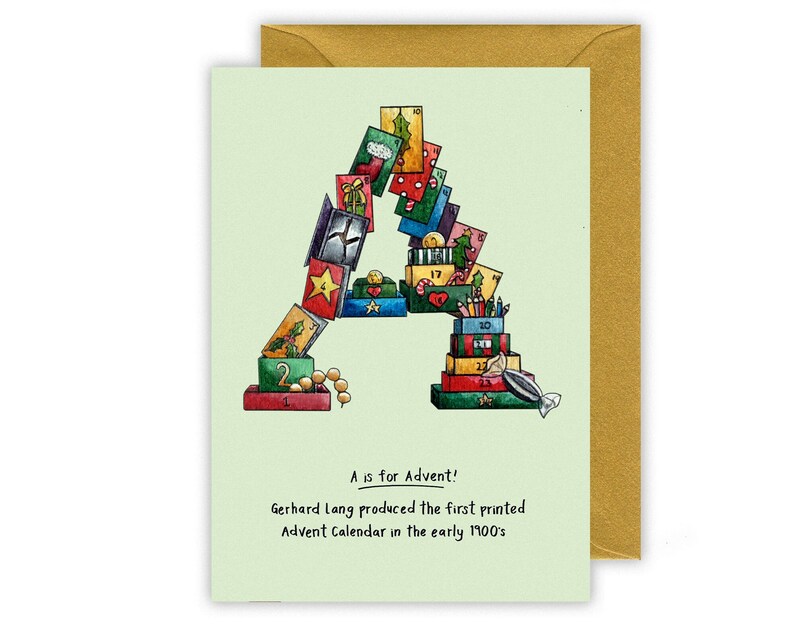 These cards are fab! Intricate designs with lovely little fun facts on them - they are beautifully printed inside too with examples of the full alphabet which is a lovely touch - especially when you can't chose which one to send as you love them all!